Who hasn’t thought while standing in a slow-moving TSA security line, “Couldn’t somebody do this better than the federal government?” There actually is somebody, and there may be a way for your airport to replace the TSA with a private firm. And after a very hectic travel summer, with reports of up-to-three-hour waits at some security lines, a lot of people started asking that question. A relatively unknown program, actually operated by the TSA, called the Partnership Screening Program, allows the federal agency to receive bids from private security firms to replace the TSA’s services at the nation’s municipal airports. The private contractors provide screening under federal oversight, and must offer similar wages and benefits for their employees. In fact, the option to fire the TSA dates back to the inception of the agency in 2002 after the September 11 terrorist attacks. At that time, five airports were allowed to contract with private firms as a way for Congress to assess and compare its approach with one offered by the private sector: San Francisco; Kansas City, MO; Rochester, NY; Tupelo, MS; and Jackson, WY. Kansas City and San Francisco’s international airports were the only two major airports in that original five. But since then, 17 other regional airports around the country have fired the TSA and, with the exception of Kansas City, contracted with Trinity Technology Group, a Department of Homeland Security Safety Act certified company, for their security screening process. Kansas City works with Akal Security. 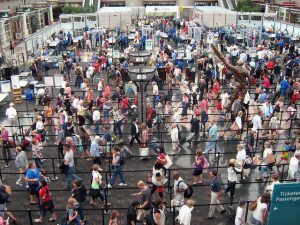 The inability of the TSA to handle the summer overflow of travelers, which resulted in hours-long delays and numerous missed flights, has caused both Phoenix and Atlanta, the world’s busiest airport, to consider this option. According to an article on the Bloomberg website, Deborah Ostreicher, assistant aviation director at Phoenix’s Sky Harbor International, said her airport is considering “a variety of options” due to lack of satisfactory service. Further, the former general manager of Atlanta’s Hartsfield-Jackson International Airport sent a warning letter to TSA, advising that they were “conducting exhaustive research” into private options. TSA still defends its system, saying there’s no correlation between security wait times and the use of federal versus contracted screeners. While it seems to be an alternative, TSA still holds a great deal of leverage in the Partnership Screening Program. Every airport that wishes to fire TSA must pass a security and cost analysis to ensure the implementation of a private firm does not harm the agency’s budget. What do you think? 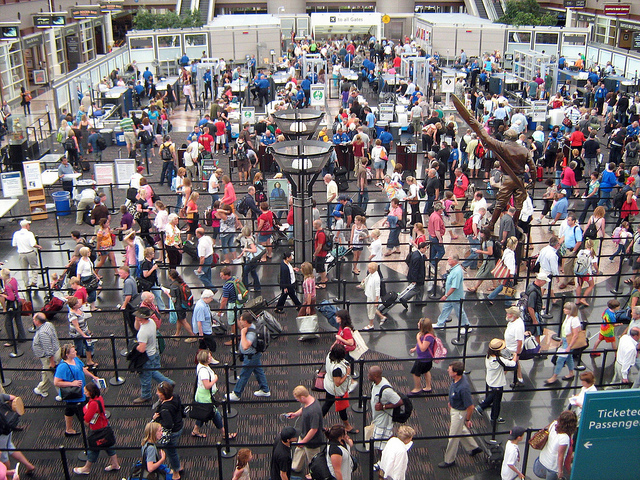 Will airports’ hiring of private security firms improve TSA wait times? Would you fly from a different airport if you had a choice between screeners? Tell us about it in the comments below, on our Facebook page, or in our Twitter stream.